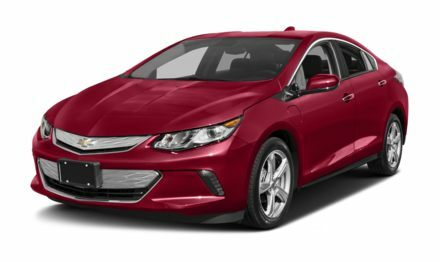 The 2018 Chevrolet Volt is the be-all, end-all plug-in hybrid vehicle on the road today. Harnessing state-of-the-art innovative technology and environmental consciousness that’s on the mind of our collective society – and rightfully so – Chevrolet have seemingly dedicated themselves to perfecting the plug-in hybrid platform optimizing and refining their plug-in EV technology to grow with the expansion of the market. Here’s what you need to know about the 2018 Chevrolet Volt. The Volt is a unique beast – it’s powered by two electric motors that work in unison to provide optimal conservation of energy and efficiency, while simultaneously providing impressive power and torque figures. The Volt also houses a gas-powered generator to seamlessly transition between fuel and electric propulsion during a long road trip. When the high-powered Lithium-ion battery runs out of power, the gas generator kicks in automatically to get you to your destination. The 2018 Volt achieves an impressive 0-60 acceleration time of 8.4 seconds – matching it to the speed of the sporty Mazda MX-5 Miata sports car (8.2 seconds) thanks to the combination if its dual electric motors and a 149 horsepower direct-injected 4-cylinder 1.5L engine. Further to power, the Volt can even develop its own charge to boost its own efficiency – using regenerative technology to recapture the energy of its own momentum. The regenerative technology is activated via a simple pull of a paddle mounted to the steering wheel which allows the car to decelerate without using the brake pedal. This converts energy into electricity and transfers the regenerated power back to the battery for storage. 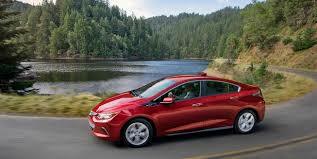 The Volt’s available 240-volt charging unit is installed to provide a full recharge in 4.5 hours. There’s also a secondary 120-volt portable charge cord that can full charge the vehicle overnight, in an approximate 13 hours. 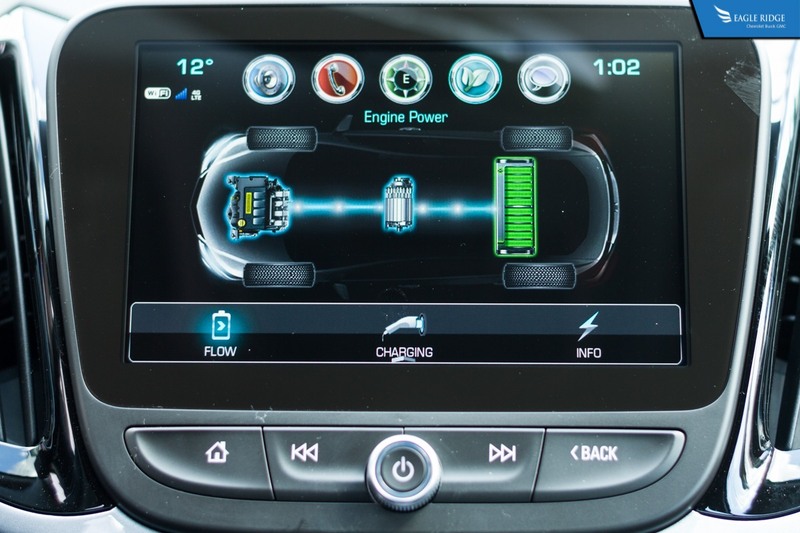 The Volt is also optimized to recognize when your vehicle is at its home-base using location-based GPS data. This allows the vehicle to take advantage of off-peak hours’ electricity rates so you save money while charging at home. With an extended range of 675 km with a full tank of gas and a whole charge, and Chevy expecting owners can traverse upwards of 1770 km’s between fill-ups with regular charging, means that Volt drivers are well positioned to take advantage of class-leading electric-only EPA ratings, and electric-only highway range when compared to its Toyota, Ford, and Hyundai rivals, channelling optimal energy and cost savings for years to come. You’d expect that a car this efficient and intuitive should be chalked full of cool new technologies that are geared towards driver-friendliness, enjoyment of driving, and safety. You’d be right! The 2018 Chevy Volt comes well equipped with a slew of innovative and expected tech features like incredible connectivity to Apple CarPlay, Android Auto, and BlueTooth capabilities, as well as the available myChevrolet app. The app allows you to monitor the charge on your vehicle, view engine and battery diagnostic data, unlock/lock the car, and start/stop the car as well. It doubles as a charging station locator, and can set parking reminders for anywhere on the planet. And alerts app holders (like parents) when safety features like forward collision alert are triggered. Consider for a moment that the average Canadian daily commute is a 64 km round-trip – and now consider that the Volt can travel up to 85 km without using a drop of gasoline, meaning you can get to work and back on a single charge and still have the juice to get the kids to practice, or to head out on the town. The 2018 Chevrolet Volt is poised to take over the plug-in hybrid segment and hold onto its position for years to come. As a practical, energy-efficient, and cost effective vehicle, it’s ready for anything the road throws its way.